Color My Party™: #CHEESEBLAST Yourself! Old El Paso - Get Cheese Blasted! 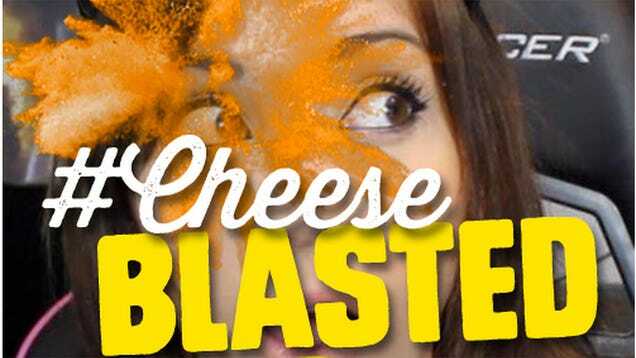 #CHEESEBLAST Yourself! Old El Paso - Get Cheese Blasted! Old El Paso switched it up with their #cheeseblasted campaign and used our Awesome Orange colored cornstarch as the "cheese". Thumbs up for being super creative on this one. We love the new shells, the hashtag conversations and the yYouTubeplaylist. If you haven't seen the commercials, OMG! You must check them out below.